Via the Xbox Wire, Microsoft today detailed the ins, outs and Kinect-enabled features of Internet Explorer for the Xbox One. It took nearly the entire generation for the company to roll out a browser for the Xbox 360, but the Xbox One is an entirely different story. 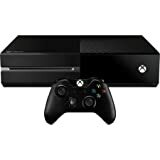 Built right into the OS, IE for the Xbox One features snap capabilities and “hands off” Kinect integration, which allows users to control the interface with gestures, or perform actions with voice commands. The much more powerful hardware will obviously lead to a more polished experience, complete with multitasking. Check out the full rundown below along with a few new screens of the interface. On Nov. 22, we’re going to get our hands on Xbox One. Whether you’re lining up the night before or are on the fence about which console to buy this holiday, the team here at Internet Explorer is psyched to share with you more detail around the best browser for the big screen in your house – Internet Explorer for Xbox One. So what’s the big deal? Three things. First, the sites you love on the web do more than just work in Internet Explorer for Xbox One. Because we built Internet Explorer for Xbox One with support for modern web standards like HTML5 and CSS3, your favorite sites are going to look amazing on a television. Second, how you navigate the web is up to you. With Xbox One you can navigate the web with your voice, use gesture input with Kinect, grab an Xbox One controller, or pick up a companion device with the Xbox SmartGlass app. Finally, any pinned sites or favorites you saved in Internet Explorer on your Xbox 360 will be pulled forward to your Xbox One. About a year ago we launched Internet Explorer for Xbox 360, and on Nov. 22 with the launch of Xbox One, we’re upping the ante. We increased support for modern web standards by over 200% from Xbox 360 to Xbox One. We’ve added browser features that you know and love from your Windows PC – website pinning, multiple tabs, inPrivate browsing, SmartScreen, Cookie blocking, and Do Not Track, and we’ve increased integration with Xbox SmartGlass so you can use your smartphone or tablet to not only navigate Internet Explorer on Xbox One, but be able to move websites back and forth from your television to your phone or tablet. One of the things we’re most excited about is all the new possibilities available when you can multi-task with a full-feature browser on your television. Playing a video game and need a quick reference for how to get through a level? Snap Internet Explorer to the side of your screen and pull up a walkthrough on the web, voila – a companion experience on the same screen! Plus, with the massive upgrade in system performance on Xbox One, you can now multitask between Internet Explorer and other applications and games in real-time, which means you never miss a moment. Xbox One features brand new support for gesture navigation, where you can use your hands to navigate with Kinect, as well as voice navigation support. This list is tailored to you, and you can customize it as you’d like –even rename them to something more memorable. With “Click on,” you can activate any link on the page. Just say “Click on… .” For really long links, you can just say a few of the words. Internet Explorer will still understand. Plus, this is implemented in a web standards respectful way, so it will work with existing websites, with no extra work required by developers. Once on a page, you can use voice to scroll through the page, play back embedded media, view video full-screen, add to favorites and more. Just say “Xbox, Select,” and you’ll see options as to what you can say. Gesture commands are pretty cool. They’re brand new for Internet Explorer on Xbox One. Just reach out, and grab the page. Then move your hand up or down to pan around the page. You can also pull the page toward you to zoom in or push it away to zoom out. Move your open hand over a link and press it to click on it. And if the links are too close together on a page, the page will automatically zoom in so you can more easily choose one to press. Whether it’s navigating with your voice, or with your hands, we think you’ll have a blast experiencing the web you know and love on Xbox One and Internet Explorer.